Revenue in the Non-Alcoholic Drinks market amounts to US$699,537m in 2019. The market is expected to grow annually by 4.9% (CAGR 2019-2023). The market's largest segment is the segment Soft Drinks with a market volume of US$448,214m in 2019. In global comparison, most revenue is generated in United States (US$143,735m in 2019). In relation to total population figures, per person revenues of US$95.04 are generated in 2019. The Non-Alcoholic Drinks market includes Bottled Water, (Carbonated and Non-Carbonated) Soft Drinks and Juices. Globally significant producers are the Coca-Cola Corporation, PepsiCo and Nestlé. This market does not include Hot Drinks which are shown separetaly in the Consumer Market Outlook. The beverages combined in this market are also often called liquid refreshment beverages (LRB). The industry has been characterised by a tectonic shift from high-sugar carbonated soft drinks and juices to no- or low-calorie beverages like bottled water and non-carbonated beverages like ready-to-drink (RTD) tea and coffee. This reflects a broad shift towards healthier lifestyles across many countries. Reading Support Revenue in the Non-Alcoholic Drinks market amounts to US$699,537m in 2019. Reading Support The Non-Alcoholic Drinks market is expected to show a revenue growth of 5.3% in 2020. Reading Support The average revenue per person in the market for Non-Alcoholic Drinks amounts to US$95.04 in 2019. Reading Support In the market for Non-Alcoholic Drinks, volume is expected to amount to 913,216.0 ML by 2023. 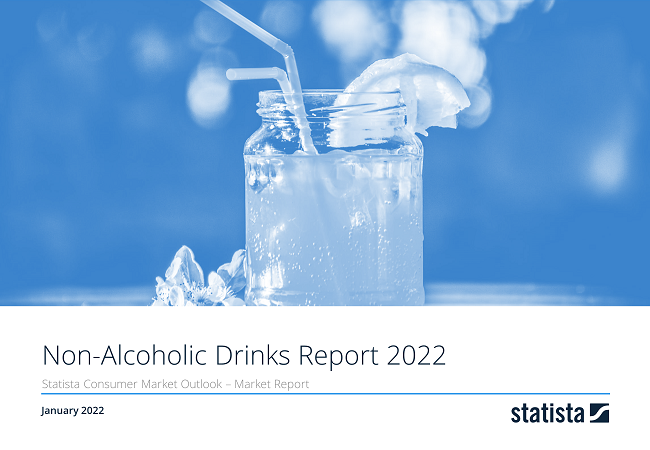 Reading Support The market for Non-Alcoholic Drinks is expected to show a volume growth of 2.4% in 2020. Reading Support The average volume per person in the market for Non-Alcoholic Drinks amounts to 113.7 L in 2019. Reading Support The average price per unit in the market for Non-Alcoholic Drinks amounts to US$0.8 in 2019. Reading Support With a market volume of US$143,735m in 2019, most revenue is generated in United States. Here you can find more studies and statistics about "Non-Alcoholic Drinks".